Don’t let HeadFinder‘s traditional yellow notepad appearance fool you into thinking this app is a blast from the past, because this task master is ready to organize your life and help get things done. With three simple steps users can schedule tasks, notes, reminders, or alarms and then proceed with life as HeadFinder runs in the background. 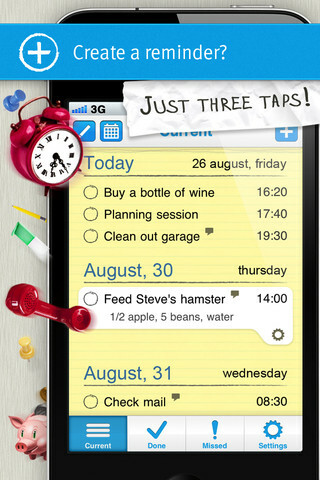 From there taskmasters can go into the app to review their task calendars, or wait for HeadFinder to do all the reminder work with timely alerts. 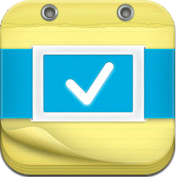 Best of all, alerts have three buttons that let users change, postpone, or mark items as complete. This dead simple reminder process takes the pressure off to do list management so your HeadFinder list doesn’t spin out of control like most planners. HeadFinder seems strong, but if I have an app built to remember everything, I want it to go with me everywhere, no matter what device I’m using. It looks like they don’t have any kind of online option to date, and at the end of the day this is a trade off I’ll have to think about. 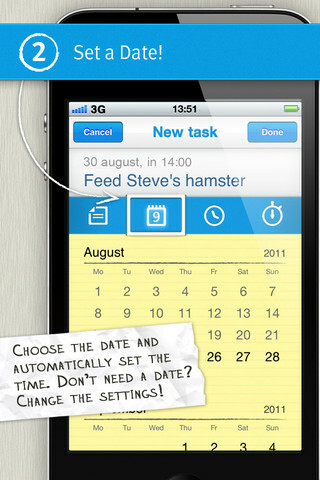 Still, the app’s simple interface and easy to use features are about as efficient as time managers get. If you run into problems, app support exists in five different languages, but it’s difficult to imagine ever losing control of HeadFinder’s simple navigation and task management. 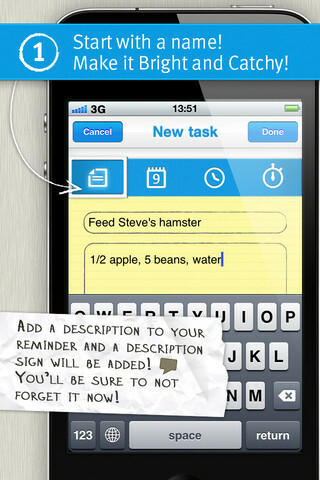 Bottom Line: HeadFinder uses a yellow notepad theme to present users with a dead simple task creation and notifications. 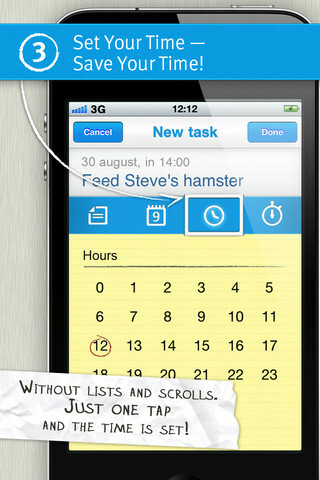 Expect to get things done with HeadFinder.